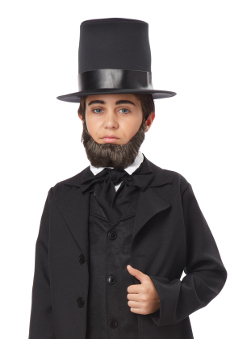 This Child sized Honest Abe beard is one realistic, self adhesive dark brown beard in the style of Abraham Lincoln. Beard only. Hat and suit sold separately.